For being a “Trail Information Specialist” there sure is a lot that I don’t know. Take this map. I only had the vaguest idea of this project/website/plan/group before this internet surfing session. Be sure to visit their website for the detail maps that provide an overview of SoCal and the 38th parallel. 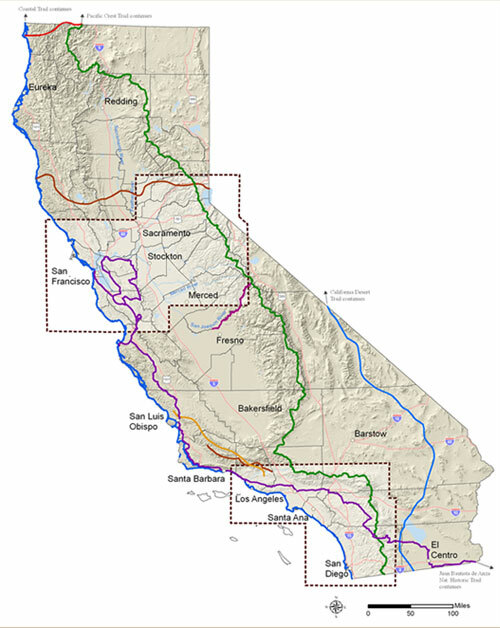 Also, sit down and read the California Recreational Trails Plan.